A Walk on The Beach with Al Unser Jr. In sports there are certain matchups that benefit one over another. In baseball, some hitters have success off particular pitchers. In basketball there are teams that some players look forward to playing against because the matchup is one that they like. In INDYCAR, that is far rarer but in the case of legendary driver Al Unser Jr. and Long Beach no one ever owned a track more or in a more dominant fashion. In a span from 1986-1996, the King of the Beach stood on the podium an amazing nine times, winning the race six times in eight years (including four consecutive times from 1988-1991). The six victories are the most by any INDYCAR driver in the circuit’s history. That combined focus and determination gave huge amounts of confidence that trickled down to everyone on the team. Proof of this comes in the fact that in all the opportunities that Unser had to run at The Beach – he only sat on the pole two times. That rivalry with the Andretti’s – born out of friendship – lasted many years on the track and has continued off it today. But that story rolls back to both of their fathers and how much Unser Jr. wanted to begin cementing his legacy by beating Mario. The importance of Long Beach and its history extends way past the “March to May”. The southern California market has a growing base of sponsors, like this week’s lead partner for Harding Steinbrenner Racing at the Acura Grand Prix of Long Beach – King Taco as well as two greats associate sponsors in the Southern California Acura Dealers and CrowdStrike. Young drivers around the series grew up there like Colton Herta and a fanbase that continues to multiply. When you win six races at one course there are some fond memories. Unser has been immortalized often at The Beach. In 2009, he was placed into the circuit’s Walk of Fame (Colton’s father Bryan was also given the honor in 2015). This year’s return to Long Beach is special for Unser as he will serve as the honorary starter. 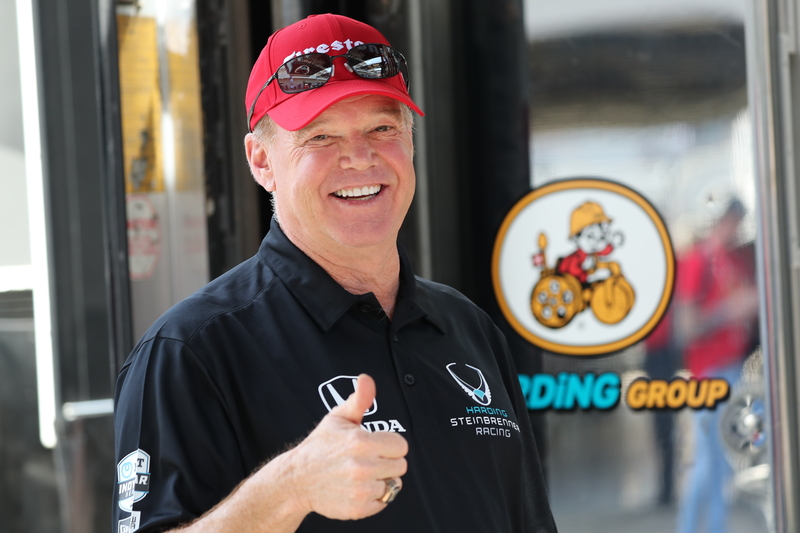 Regarding the 2019 edition of the Acura Grand Prix of Long Beach, Unser says advice to Colton has been minimal.